The rates are now to be reviewed four times a year. Any changes will take effect at the beginning of each calendar quarter – on 1 March, 1 June, 1 September and 1 December and will be published on the HM Revenue & Customs (HMRC) website shortly before the date of change. This year saw a new team from HMRC taking up the fight against rogue employers who refuse to pay their workers the National Minimum Wage. The Team is working on the most high profile and complicated National Minimum Wage cases faced by HMRC, particularly in areas where employers are using migrant labour to undercut competitors by paying below the minimum wage. Over the last month a number of our clients have received a letter from HMRC requesting a review of their records. What is the National Minimum Wage ? HMRC are strictly enforcing the above rules and any underpayment will be backdated and penalties will be applied. What will HMRC need to see ? You must keep records that show you pay at least the national minimum wage to anyone who works for you and is entitled to it. HMRC compliance officers are entitled to ask you to produce appropriate records for inspection. You are required to keep records for at least three years. What do I do if I realise I have underpaid an employee ? If you haven’t paid a worker at least the national minimum wage requirement, then you must work out what’s owed and pay any arrears. What if HMRC visit and realise I have underpaid and employee ? • The penalty can be 50 per cent of the total underpayment. • There is a minimum penalty of £100 and a maximum of £5,000. Don’t Delay review your PAYE records today !! Whichever party gets elected tomorrow, no new government can avoid the reality that three of their major revenue streams are going to be basic rate income tax, national insurance and VAT. All main three parties have announced there will be spending cuts, but these will only go some way towards reducing the UK’s massive deficit, so it’s a no-brainer that further tax rises are likely. Already last month, the new 50% top rate of tax has come into effect for incomes over £150,000, with personal allowances for anyone earning over £100,000 already scrapped. So what might each of the three have in store for us? PAYE/Tax: No plans to raise income tax rates. The new 50% rate may not be a permanent feature. Transfer of £750 of personal allowances within married couples and civil partnerships will be allowable. NI:- Will protect middle earners from the 1% NIC rise by increasing contribution thresholds so that individuals earning less than £35,000 will pay no more in cash terms. Although none of the three are proposing to alter the current VAT rate of 17.5%, many experts predict a rise to at least 20%, which would also be more in line with European VAT rates and, whilst neither Labour nor Conservative say they are going to raise CGT rates, it is widely expected that the gap between the 18% flat rate and the 50% top rate of income tax, will be narrowed in the future. Alaister Darling recently admitted that the economic downturn will reduce the Government’s tax take, leaving an alleged £23 billion hole to be filled. HMRC is under instruction to improve its tax collection techniques, which it is already doing by launching more investigations. changes from prior year, i.e. rental income for years, then none, but no Capital Gains on disposal. What can YOU do to keep under the radar? Balance sheet – stock and WIP. Use accurate figures. If using estimates, make them look realistic and check assumptions. Keep records of any private use. Be able to explain any where any extra deposits come from; they may be additional taxable income. As usual, it is essential to keep all supporting paperwork. In addition, should you receive a query from the taxman, respond promptly. The Revenue is more likely to think you have nothing to hide if you do not delay. Contact Julie or Aileen at accounts@fabaccounts.com for any additional advice, or leave us a message below. We can now offer tax investigation insurance, which will cover your professional fees in the event of an unwelcome visit from HMRC, and give yourself peace of mind. Phone us for a quote today on 01933 356286. If you want to reward your staff for all of their hard work in these difficult times but don’t want to give the taxman any extra, read on! The first £55 per week of childcare vouchers that you give to an employee is both tax and NI-free. The employee can use the vouchers to pay for approved childcare, e.g. a registered childminder. They give the voucher to the approved child carer who then sends it back to you for the company to settle. The £55 limit is per parent not per child so if both parents work work for you, they can receive up to £110 a week tax-free (via separate vouchers). In certain circumstances employers can reward staff tax-free for ideas. Even if you get snowed under with suggestions, you get to pick the ideas to be used or rewarded, so you can decide who gets the money. The taxman, however, will want to know all about the tax-free amounts you are giving to your staff, so you will need to have evidence of the benefit the business has derived from the suggestion by way of an estimate of the cost savings, or extra sales revenue etc. The maximum you can pay for suggestions not implemented is £25. The maximum for a suggestion implemented is the lower of £5000 or 50% of the expected financial benefit in the 1st year ( or 10% of the expected financial benefit over 5 years). A gift made to your employee in recognition of some personal quality but not a reward for performing duties whether past, present of future, can be made tax free. An example might be a wedding gift. If an employee has to stay away overnight on business, then you can pay them up to £5 per night in the UK (£10 per night overseas) tax-free, in respect of their miscellaneous personal expenses such as telephone calls home or newspapers. You need make sure you don’t accidentally reimburse the expenses twice – first as part of the hotel bill and second via the employee’s separate expense claim. If your employees work at home regularly, but not full-time, they can claim the increased energy needed to heat and light the property for longer and any extra water used, if it is metered. However, they can’t claim a proportion of their mortgage or Council Tax as these are fixed, whether or not you work from home. The claim must also be supported by receipts, showing the increased energy, water etc. used due to you working at home. These are tedious for you to collect and expensive for your company to process. Instead why not pay £3 per week to all of your employees who work from home on a regular basis? This may seem trivial, but it’s still £156 a year tax-free. Could any of these suggestions work for you? Leave your details below, or contact us directly on accounts@fabaccounts.com. Your teenage son/daughter is home from College/University and use your services as a taxi constantly. They have a full licence, why not get your company to buy/lease a car for them ! To qualify for Corporation Tax deduction, the car will need to be provided as part of your remuneration package. There will be no tax for you to pay on the costs, instead you will be liable to a car benefit charge. In a nutshell your son/daughter has the full use of a car at a cost to you personally of £482.00 (maximum) per year. It’s a win win situation, they get a car and their freedom and you can hang up your “Taxi” badge. Has this budget helped you or made things worse. Leave any questions and comments below. Loss making companies can reclaim tax paid on profits made in the past 3 years. Main capital allowance rate doubled to 40% for 1 year. Cash-strapped businesses can continue to defer tax bills, with an extension of the ‘time to pay’ initiative. 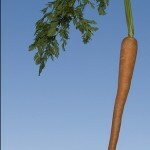 Some improvements to the Venture Capital Schemes may stimulate more capital becoming available. £2,000 new-for-old discount on cars, to be partly funded by manufacturers. Stamp duty holiday on properties worth up to £175,000 to be extended to 31 Dec 2009. Main rate for Corporation Tax unchanged at 28%. Small company rate to remain at 21% for a further year. Fuel duty is to be increased by £0.02p from Sep 09 and by a further £0.01p every April from 2010 to 2013. Alchohol duty to rise by 2%. The pound suffered an instant hit following the Chancellor’s delivery of the budget, widely perceived to be a reaction to the unexpected jump in the top rate of income tax to 50%. This was seen as an attack on the City and would have the effect of encouraging top people to leave this sector for other shores, reducing long-term competitiveness in financial services. The economy is predicted to contract by 3.5%, with public borrowing expected to rise to 12.4% of gross domestic product this year. HM Revenue and Customs has issued a warning regarding fake emails circulating. It uses the same style sheet and graphics as HMRC, making it look genuine. The email advises the recipient that they are due a tax refund. So that this can then be paid to them they are required to supply their bank details. HMRC have confirmed that they only ever contact customers who are due a refund in writing by post. They never use emails, telephone calls or external companies. An HMRC spokesman said it has been receiving about 500 complaints a day about phishing scams.It believes this is about 10% of the total number of fake emails sent – an estimated 50,000. Do you want to give your staff a tax free incentive? 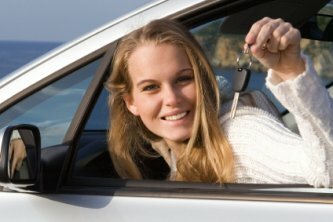 Does your teenager need a car ? Are women worth more than men? Does the taxman owe YOU money? Sign up today for free acountancy advice.